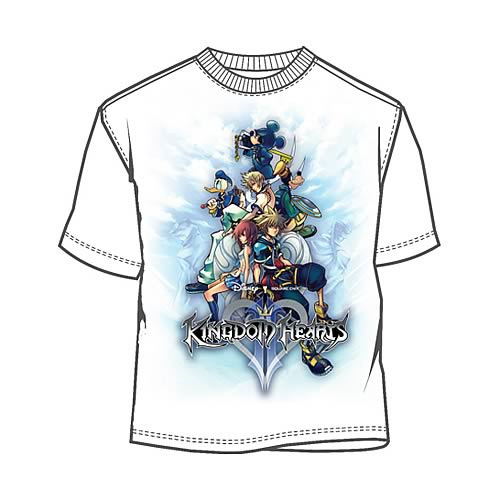 Shopping for Kingdom Hearts T-Shirts? A gamer's take on the world of Disney! High-quality t-shirt featuring your favorite characters from Disney and Square Enix's Kingdom Hearts. Wear your favorite video games! Kingdom Hearts Game On T-Shirt. Defend the kingdom with this 100% cotton, high-quality white t-shirt. Machine washable. Order yours today!